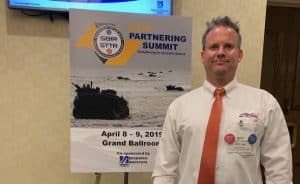 ObjectSecurity’s CEO Dr. Lang is attending “2019 Department of the Navy Partnering Summit”, April 8/9, 2019, Boston, MA, to learn about Navy’s R&D investment trends and to network with government officials, prime contractors, and other small businesses. Interest in ObjectSecurity’s technology focus areas is significant, especially around supply chain risk and cybersecurity. Please contact us through our contact menu to set up a partnering meeting.